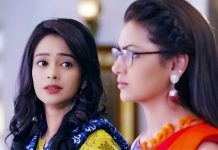 Silsila Upcoming Mauli is troubled by Kunal’s partial memory loss. Kunal convinces Mauli for wearing the white saree. He has seen Nandini in his dream and gets mistaken of Mauli. Mauli wears the saree just to remind him of Nandini. She wants his memories to return, so that she can get rid of the fake love drama. Kunal recalls his moments with Nandini and also the day when he fell with Nandini. He recalls Nandini dancing in the rains. 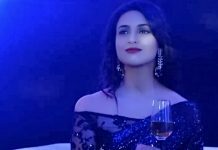 Pari wishes Kunal to remember their relation and comes back. Pari misses her dad. She wants him back with her. Kunal tells Mauli that she has really worn the saree and he knows this well. Mauli tells him that she doesn’t wear sarees. She tries to push him to think about Nandini. She wants him to recall Nandini soon. She wonders if he has got his memory back. He tells her that he will just love her and she doesn’t need to get insecure. Radhika stops Kunal from pressurizing himself. Mauli gets heartbroken when Kunal gets praising Nandini unknowingly. Mauli doesn’t want to hear about Kunal and Nandini’s love story. She doesn’t wish Kunal to break her heart again. She feels bad that Nandini has ruined her life. Radhika and Dika console Mauli. They don’t want Mauli to feel the pain. Mauli tells Radhika that she can’t help Kunal, she can’t go back in that painful phase of life. She prefers to stay alone. Meanwhile, Ishaan tries to cheer up the kids. He asks for Pari. Mishti tells him how low Pari is feeling without Kunal. Ishaan wants to make Pari happy. He knows her loneliness. He realizes Pari is suffering from fever. He wants to get Pari treated. He stays stressed. He finds an idea to handle the situation. He tells Mishti that Pari will get fine if she gets the right care. He decides to meet Mauli by taking the kids home. Kunal tells Radhika that he is planning a child with Mauli. He wants to start a family. Radhika feels sorry that he lost his memory. Ishaan meets Kunal and family. He introduces his daughters to Kunal. He tells Kunal that he wants him to attend Pari like a doctor. He wants Pari to spend time with her dad. Pari gets happy when Kunal looks after her. She wishes Kunal remembers her soon. Mauli gets into an argument with Ishaan, which makes the situation worse for their relation. Udaan:Bhanu has kidnapped Raghav. He tells Imli that they have to erase Chakor’s love from his heart. Imli asks Bhanu to spare Raghav. Bhanu tells her that this is a necessary step. She cries for Raghav. Raghav is in much pain. She turns away and sheds tears for him, while he screams in pain by the electric shocks. Chakor will be learning Imli’s evil move to join hands with Bhanu.